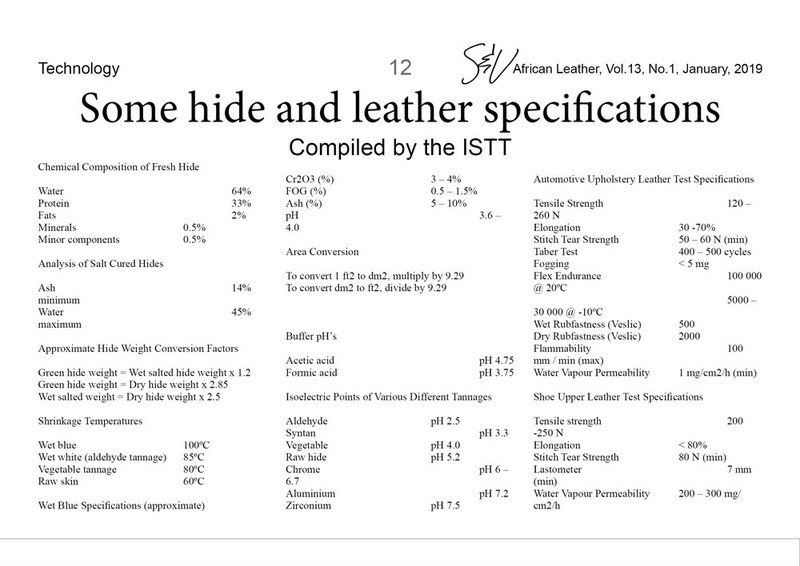 What do low hide prices mean for leather? 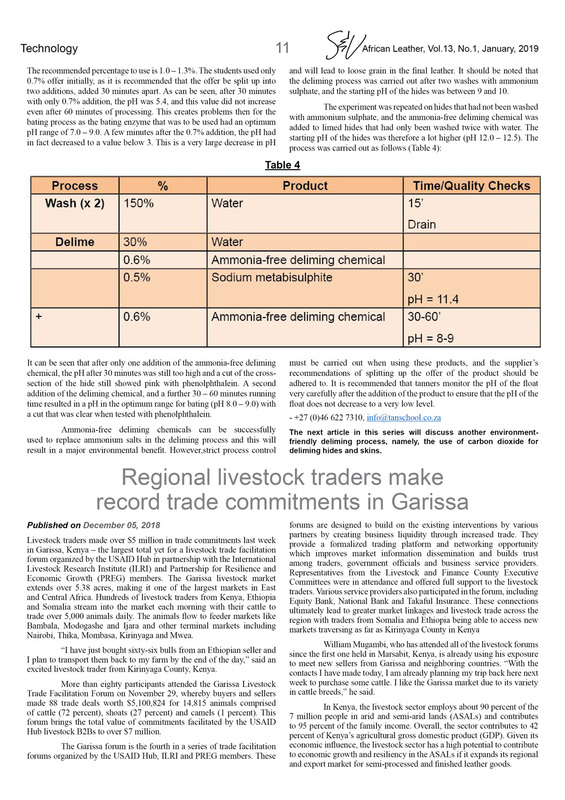 - Afritan: Nguni processors have benefitted. 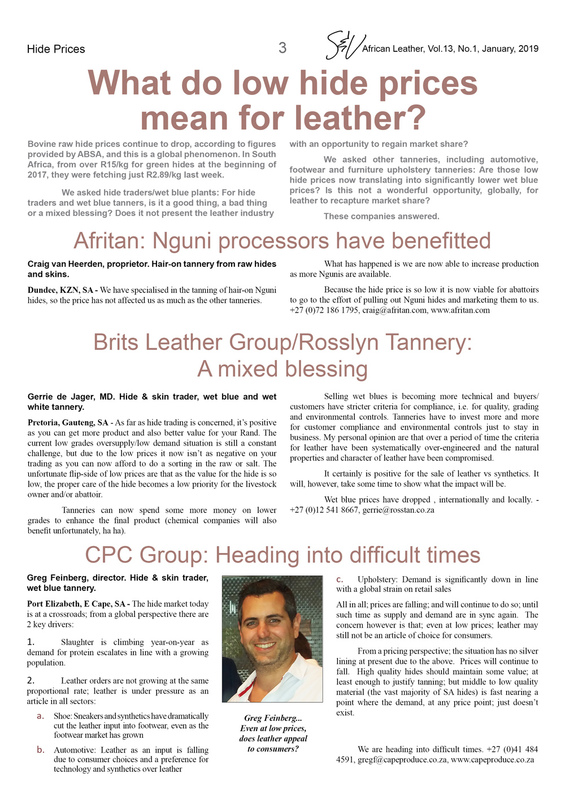 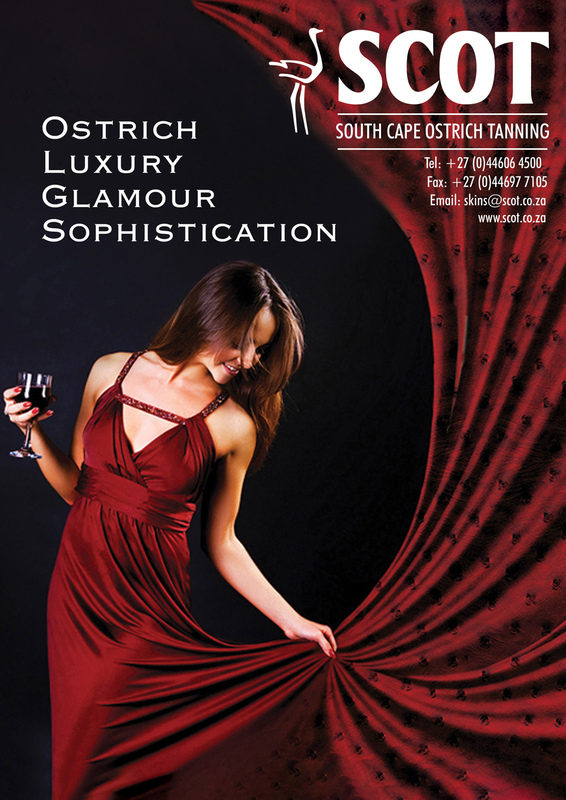 - Brits Leather Group/Rosslyn Tannery: A mixed blessing. 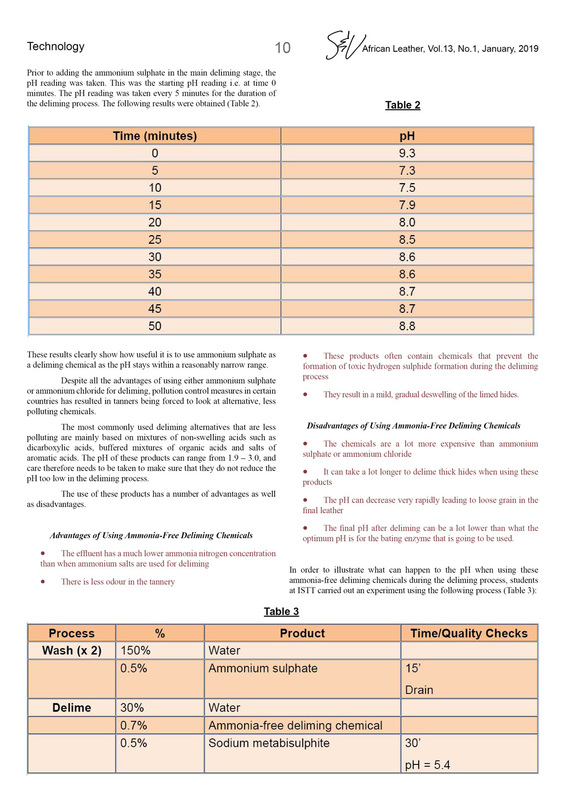 - CPC Group: Heading into difficult times. 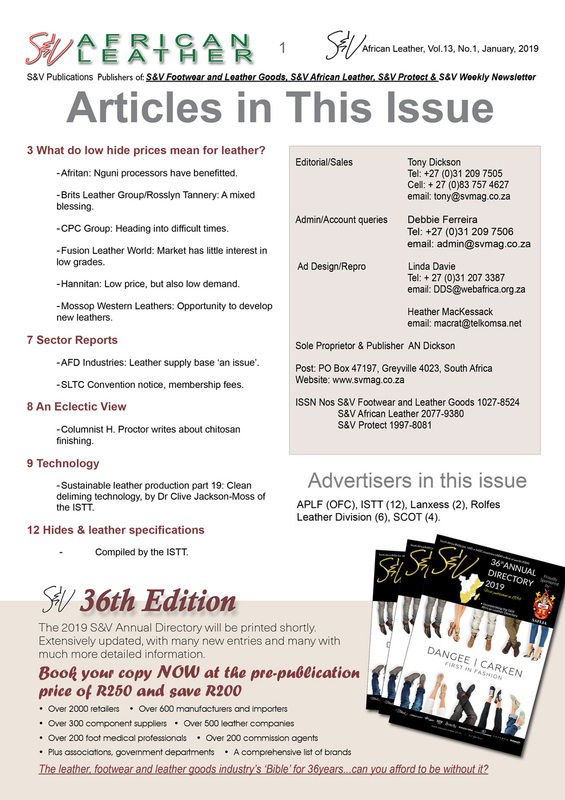 - Fusion Leather World: Market has little interest in low grades. 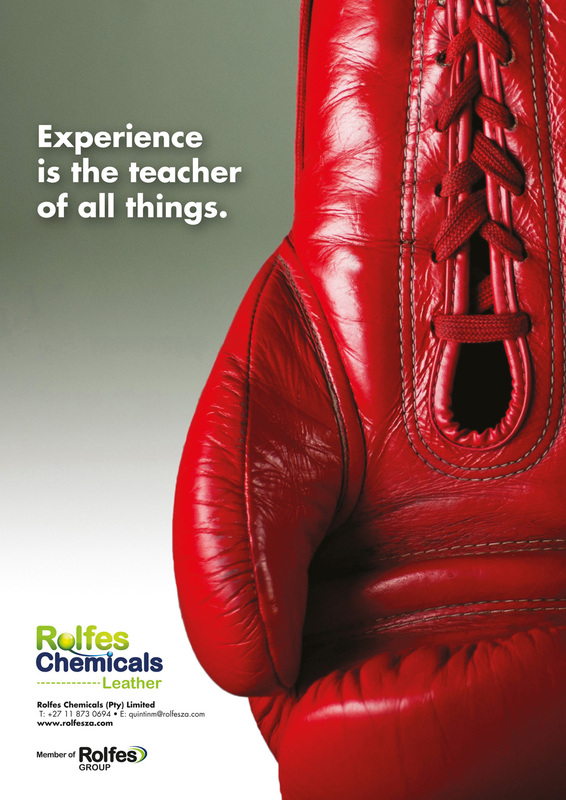 - Hannitan: Low price, but also low demand. 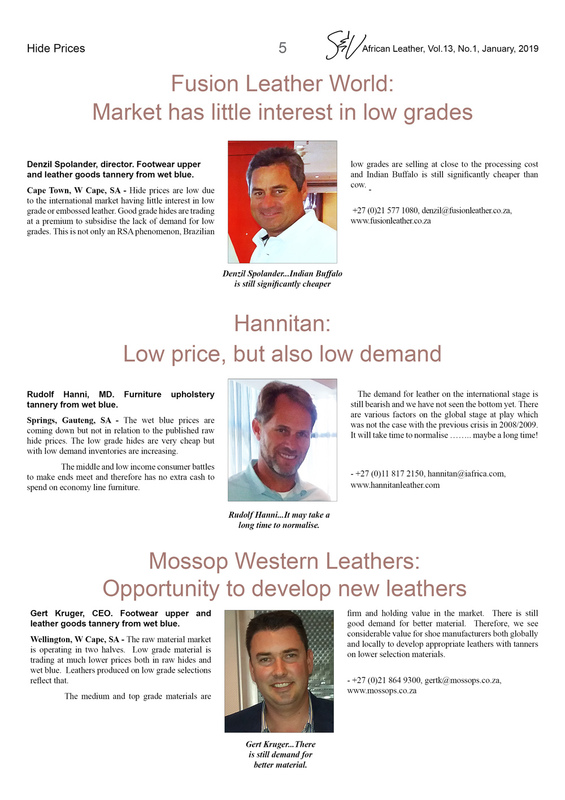 - Mossop Western Leathers: Opportunity to develop new leathers. 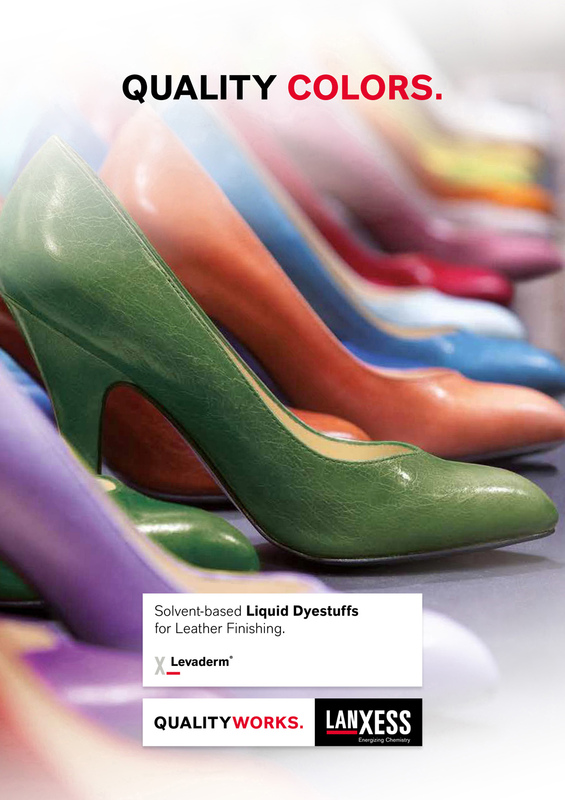 - AFD Industries: Leather supply base 'an issue'. 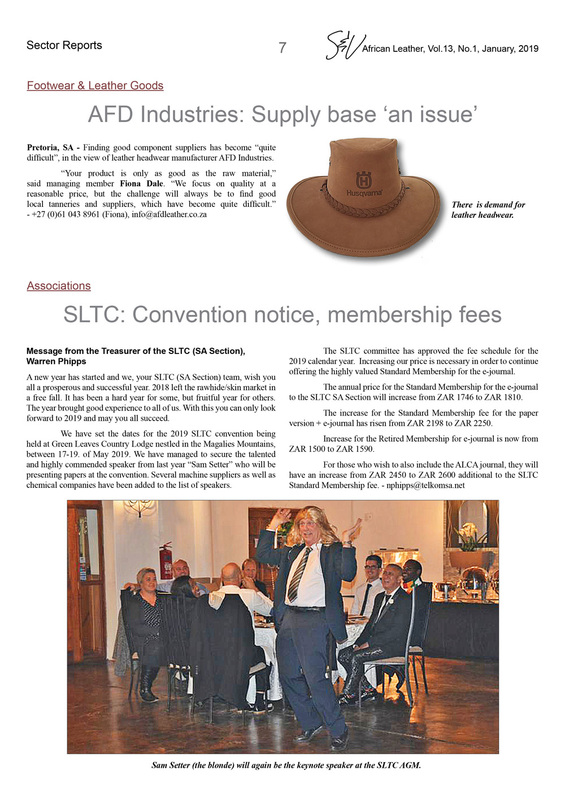 - SLTC Convention notice, membership fees. 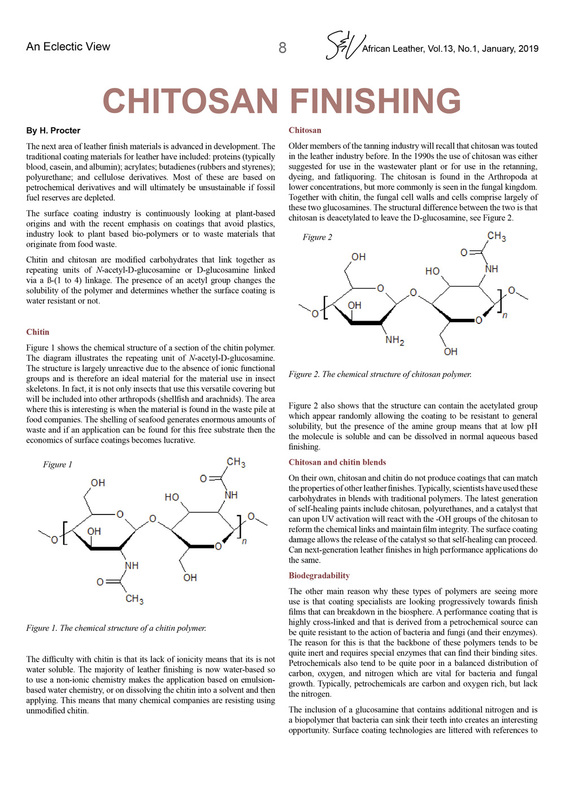 - Columnist H. Proctor writes about chitosan finishing. 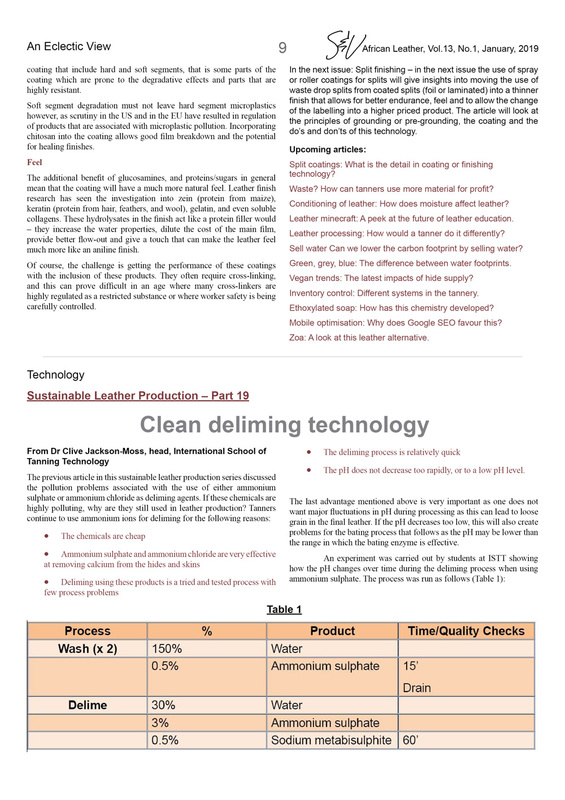 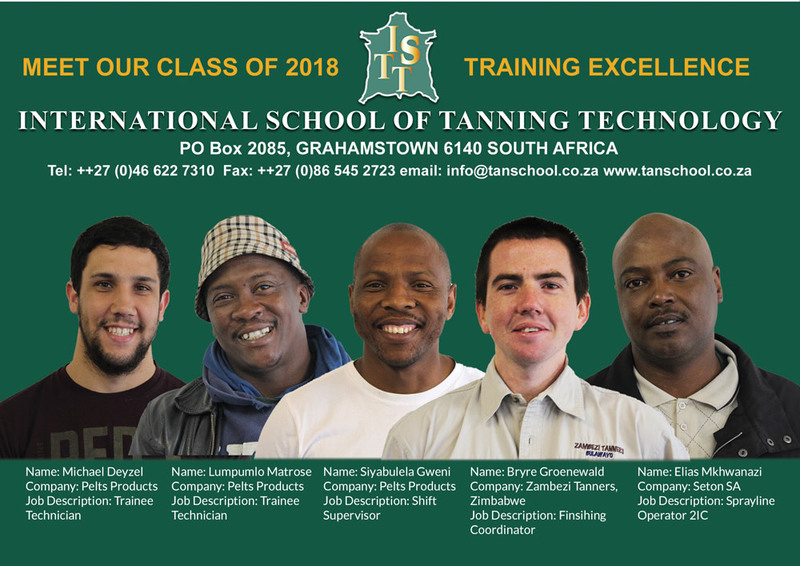 - Sustainable leather production part 19: Clean deliming technology, by Dr Clive Jackson-Moss of the ISTT. 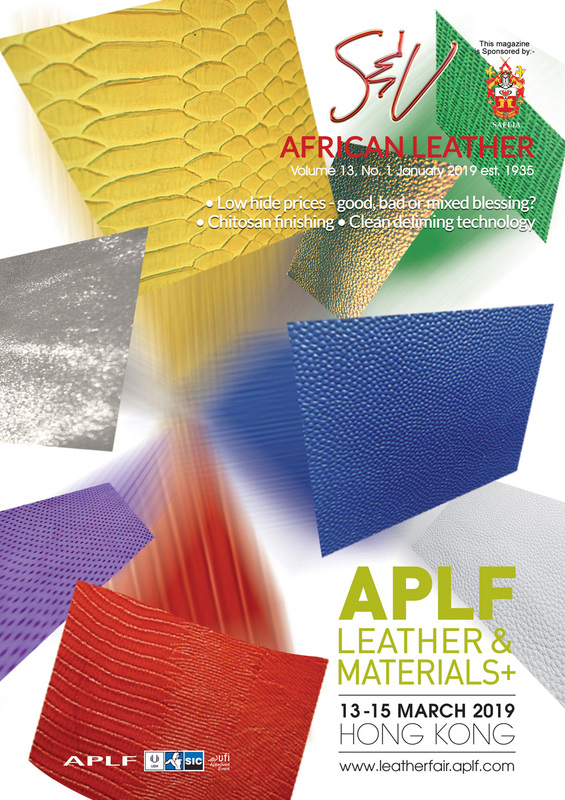 APLF (OFC), ISTT (12), Lanxess (2), Rolfes Leather Division (6), SCOT (4).